[PDF] The Invaded: How Latin Americans and Their Allies Fought and Ended U.S. Occupations | Free eBooks Download - EBOOKEE! Description: In 1912 the United States sent troops into a Nicaraguan civil war, solidifying a decades-long era of military occupations in Latin America driven by the desire to rewrite the political rules of the hemisphere. In this definitive account of the resistance to the three longest occupations-in Nicaragua, Haiti, and the Dominican Republic-Alan McPherson analyzes these events from the perspective of the invaded themselves, showing why people resisted and why the troops eventually left. Confronting the assumption that nationalism primarily drove resistance, McPherson finds more concrete-yet also more passionate-motivations: hatred for the brutality of the marines, fear of losing land, outrage at cultural impositions, and thirst for political power. These motivations blended into a potent mix of anger and resentment among both rural and urban occupied populations. Rejecting the view that Washington withdrew from Latin American occupations for moral reasons, McPherson details how the invaded forced the Yankees to leave, underscoring day-to-day resistance and the transnational network that linked New York, Havana, Mexico City, and other cities. Political culture, he argues, mattered more than military or economic motives, as U.S. marines were determined to transform political values and occupied peoples fought to conserve them. Occupiers tried to speed up the modernization and centralization of these poor, rural societies and, ironically, to build nationalism where they found it lacking. Based on rarely seen documents in three languages and five countries, this lively narrative recasts the very nature of occupation as a colossal tragedy, doomed from the outset to fail. In doing so, it offers broad lessons for today's invaders and invaded. 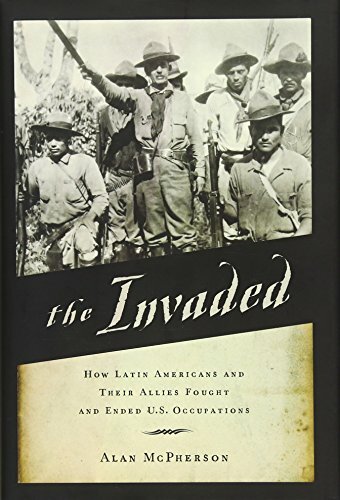 No comments for "[PDF] The Invaded: How Latin Americans and Their Allies Fought and Ended U.S. Occupations".